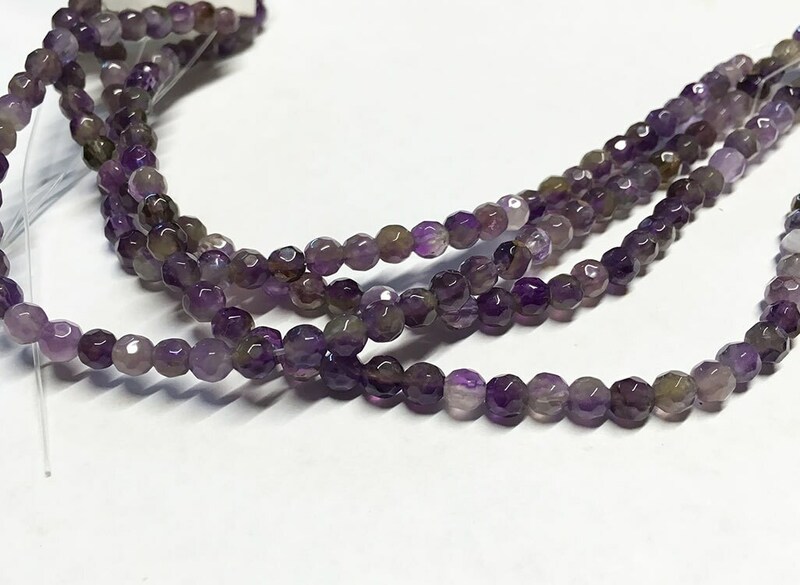 Amethyst faceted gemstone rounds are 4mm in size. Natural purple shades with sparkling facets. There are approx 40 beads per 8 inch strand. These are beautiful and can't wait to make another aromatherapy bracelet with them!